Enter this year’s competition to find Aubrey Allen’s ‘Home Cook of the Year’. In conjunction with the Leamington Food Festival 2018, this year’s competition will again be judged by our region’s finest to find our home-grown culinary superstar! We want you to share your perfect three course menu with us; a cold starter, a hot main course based on using our wonderful ‘Farm Assured’ Cornish Coastal Lamb, and your very best cold dessert. To enter fill in the form at the bottom of this page with your menu and details. From all entries received, our judges will pick three finalists who will be invited to cook their hot main course LIVE under their watchful eyes on the final day of the festival. Your cold starters and desserts may be brought finished and ready to plate. The final will take place from 1pm at the Leamington Food Festival Sunday 9 September. So, if you’re free Sunday 9 September, 2018 take the challenge! Share your favourite home menu with us and you could be cooking live on the stage at this year’s Leamington Food Festival. Home Cook of the Year 2017 Winner, Sophie Hyam, not only walked away with dinner at Michelin starred Simpsons Restaurant, but also enjoyed an overnight stay. 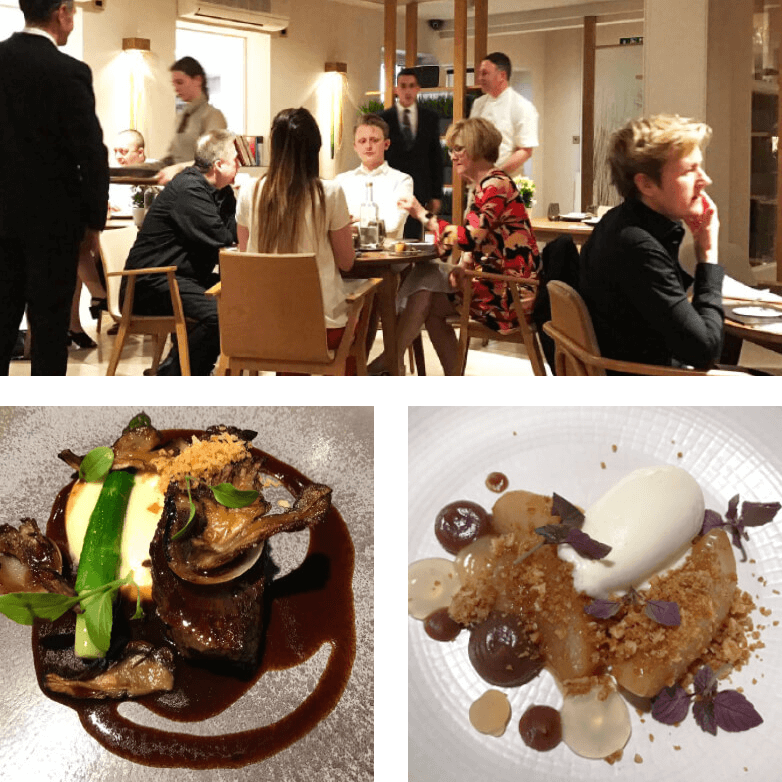 Sophie was also invited by executive chef Luke Tipping to visit his kitchen, meet the chefs and witness first-hand the effort that goes into running a perfect service in one of the Country’s top restaurants! A unique experience and a fascinating insight for any cook. We’ll have great prizes for all finalists again this year! Aubrey Allen’s ‘Home Cook of the Year 2018’! *We’ll supply the lamb, hob and oven. Finalists should bring their own cooking utensils and plates. *Finalists may bring completed cold desserts ready to plate. All entries must be received by 3 August 2018. Finalists will be notified by telephone or email on 8 August 2018. Before entering please make sure you are available to cook at Leamington Food Festival on 9 September 2018. Prizes are non transferable and must be taken by the winner and their nominated guest/s.